Julianne Moore Was Supposed to Star in “Can You Ever Forgive Me?” Here’s What Happened. 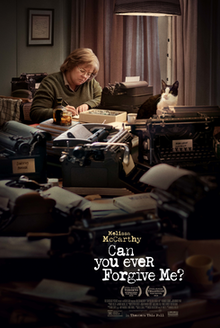 With a Metacritic score of 87 out of 100, based on fifty-three critics, indicating “universal acclaim” and a 98% on Rotten Tomatos with an average score of 8.24 out of 10, it’s hard to image Can You Ever Forgive Me as being anything different from what it is. However it was recently revealed that it was Julianne Moore, not Melissa McCarthy, who was originally lined up to play author and forger Lee Israel. I see no resemblance, but that was half the issue. Let’s start at the beginning. An author turned bad, oh my! Never seen one of those. Struggling with financial troubles, writer’s block, and alcoholism, Lee Israel realized that she could sell personal letters and autographs from famous authors for money. So in addition to forging many letters, also stole letters from archives and selling them, replacing the ones in the archives with fake ones. No one is exactly sure how the FBI got hot on her trail (except, maybe, the FBI) but her memoir, Can You Ever Forgive Me? : Memoirs of a Literary Forger, indicates that after a Noël Coward expert insisted that Coward would not have referenced his sexuality so enthusiastically as he allegedly did in a letter provided by Israel, suspicion was aroused, putting an abrupt end to Israel’s scheme. So Lee Israel is a touchy subject to say the least. Well, it made a pretty good movie. 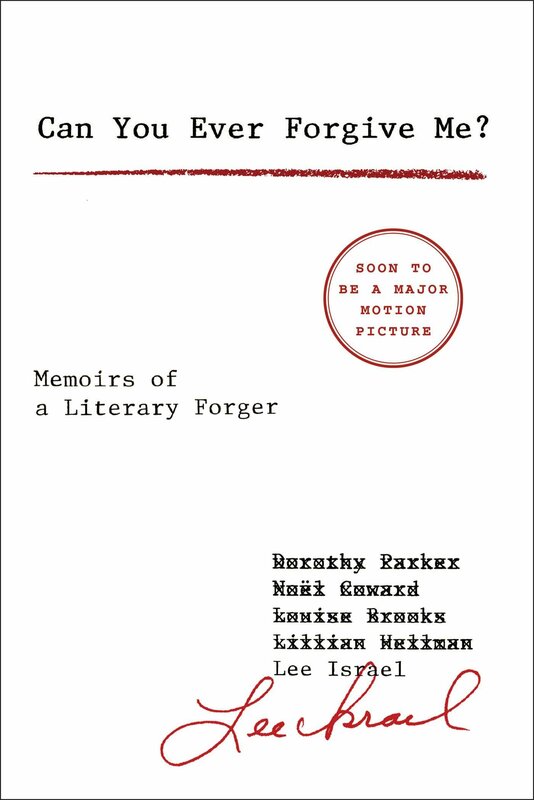 Now it’s 2011, three years after the 2008 memoir hit shelves, and Variety breaks the news with this sentences: “Recent Oscar winner Julianne Moore is in negotiations to star in Nicole Holofcener’s Can You Ever Forgive Me for Fox Searchlight”. Come 2015, Variety reported that Julianne Moore had “exited [the production] due to creative differences”. What happened? Here comes the Vulture! Not that Vulture. This Vulture…. Vulture report that “Julianne Moore wanted to wear a fat suit and a false nose to play Lee Israel”. Jessica Knoll Set Out to Be Successful. Why Is That a Bad Thing? 20 Gloria Steinem Quotes to Empower You!